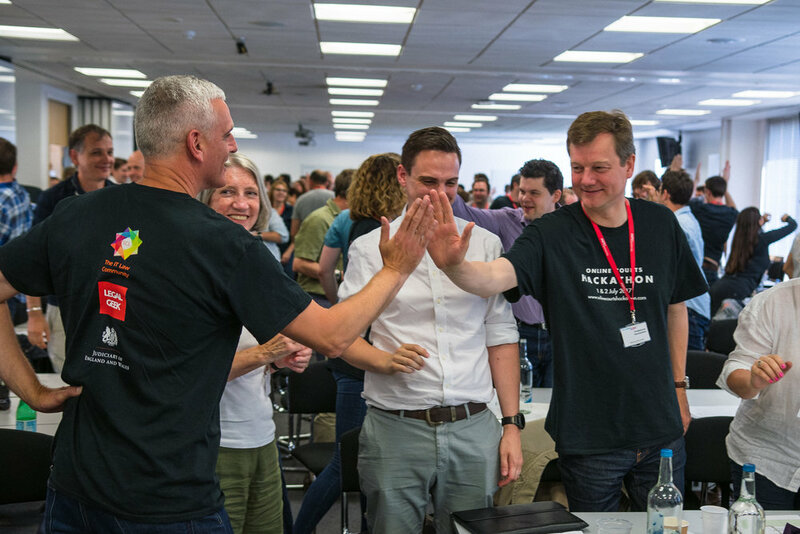 The Society for Computers and Law, Legal Geek, the Judiciary of England and Wales and HM Courts & Tribunals Service want to thank everyone who made our first Online Courts Hackathon a great success. 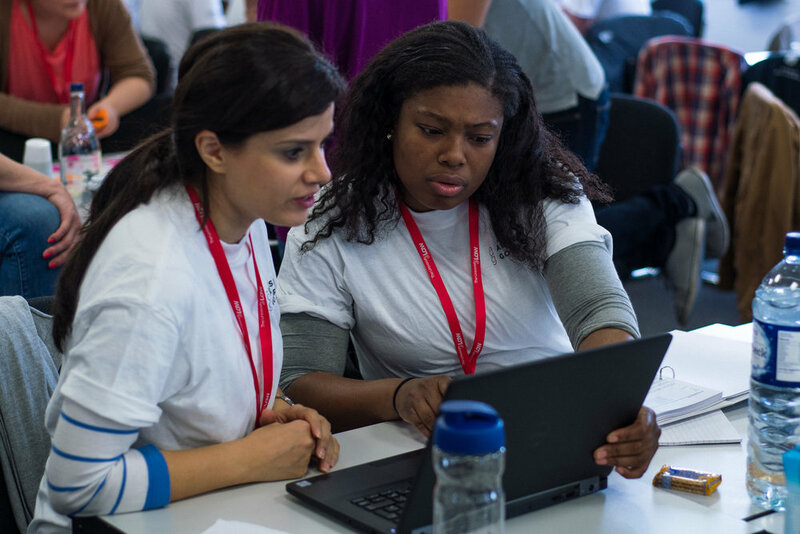 The first Online Courts Hackathon was held over 24 hours on 1 and 2 July. Over 200 participants from law firms, universities and technology companies formed teams, including lawyers/law students, coders and designers from the UK, Europe and even Australia. A team from Wavelength Law and the Law Society of England and Wales were declared the winners and awarded their prize by Lord Thomas, the Lord Chief Justice. 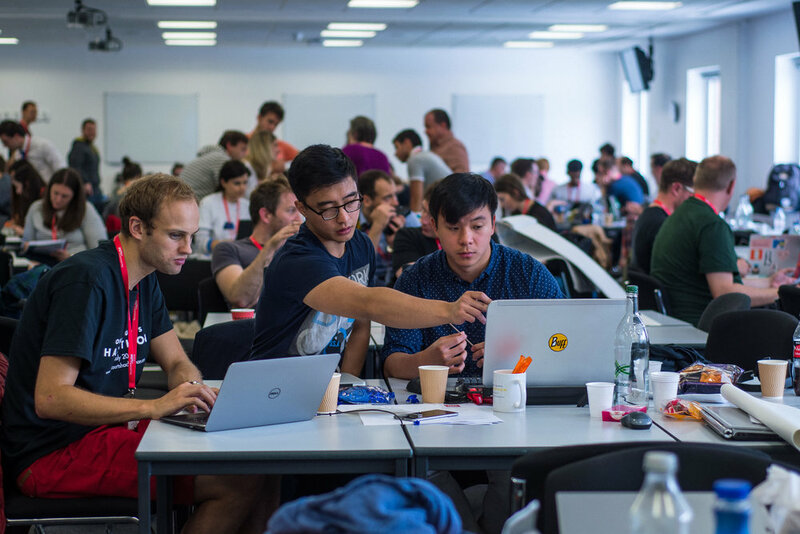 The Hackathon was organised by the Society for Computers and Law, Legal Geek, the Judiciary of England and Wales and HM Courts & Tribunals Service. The SCL President, Professor Richard Susskind OBE, and Legal Geek’s Jimmy Vestbirk devised and drove the event forward. The Hackathon was hosted by the University of Law. bundles - how to solve the plastic-bag-full-of-paper problem. James Moore, Co-founder, F-Lex Legal. The Wavelength/Law Society winning suggestion was went above and beyond the set challenges. Their concept went from a diagnosis of a chest complaint in a doctor’s surgery through each stage of a possible claim against a landlord, using slick ‘pathfinder’ technology and voice interaction with COLIN (the Courts OnLINe help agent). As well as Wavelength’s legal engineers, the team included Peter Wright, chair of the Law Society’s technology & law reference group, and Sophia Adams Bhatti, the Law Society’s director of legal and regulatory policy. The runners-up, TeamPM from Pinsent Masons, presented ‘MobiMapper’, a case visualisation and argument mapper which narrows the issues of a case into a single document that a litigant in person might bring to court. There were also awards for the Craziest Idea, which went to the Two of Us, Best Teamwork, won by the Gilbert & Tobin team, and for ‘Coolest Tech’, which was awarded to a team from Cambridge University for their ClaimR, an algorithmic decision tree that predicted case outcomes to 83% accuracy. The proposed introduction of online courts in England and Wales (for civil, family, and tribunal disputes) represents one of the most significant reforms to the justice system in the past two centuries. Supported by both the Government and the Judiciary of England and Wales, the motivation behind online courts is to provide greater access to justice at lower cost than the conventional court system. While the government is leading the transformation (and is investing around £1 billion in modernising the courts), it is recognised that the design of the online courts would benefit from the input of the wider communities of lawyers, court users, law students, and technologists. The idea of the Hackathon is to bring these communities together over a 24-hour period (from noon to noon) and in a friendly and yet competitive spirit, to invite teams to come up with designs, solutions, systems, and technologies for online courts. Participants will be invited to design various tools to support online courts – for example, tools to help litigants structure their legal arguments, organise their documents, negotiate settlements without advisers, as well as systems that will promote ‘open justice’ and machine learning solutions that will help analyse all the data generated by the online courts (these examples were drawn, in part, from discussions with HM Courts & Tribunals Service). Prizes will awarded for the best ideas. Pizzas and coffee will be consumed in great quantities while the teams work through the night. This hackathon is an application process, applying does not guarantee entry. The secret location will be revealed to accepted teams and individuals.